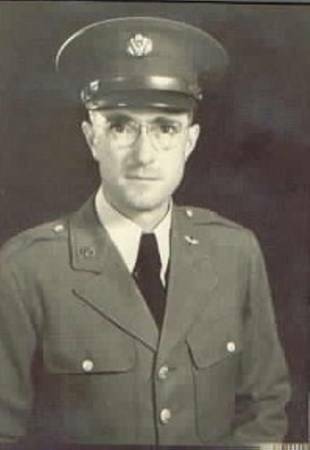 MAURICE ORLO ROSE (ARTHUR THEODORE9, TIMOTHY HARRIS8, MILO CLAUD7, HIRAM6, JUSTICE5, JONATHAN4, DANIEL3, ROBERT2, ROBERT1) was born 23 Nov 1905 in Greenfield, Dade, MO, and died 15 Nov 1997 in Elkhart, Morton, KS. Viola told the story of how she met Maurice. She was attending the same college that Maurice's brother Archie attended, which was Bresee Peniel College in Hutchinson, KS. It was mid 1930's and Maurice came to visit his brother and a girlfriend in Hutchinson, and he went into her dorm and left the keys in the car. Viola and a couple friends decided they wanted to take a road trip down a new highway that had just opened, but none of them had a car. When they saw the keys in the car, the temptation for a joy-ride was just too great. As Viola tells the story, "Maurice ran out of the house, found someone else with a car, started chasing us, caught us, and married me." After the car chase they did become engaged, then Maurice joined the service, and Viola took a job in Dodge City, KSas. About a month before the wedding, due to the war, the government declared a job freeze. No one could quit or leave a job. Lucky for Viola, her company had an office in a city near where Maurice was stationed, in Nebraska, so she was transferred there to work after the marriage. A year and a half after their marriage, Nov. 1944, Maurice was sent overseas and Viola, who was expecting, went to live with her family in Spearville, KSas, where she stayed until Maurice came home, in the fall of 1945. Before age 2, Maurice and his family moved from Dade Co., Missouri to homestead a farm near Keyes, in Hidalgo Township, Cimarron Co. OK. In 1942 he enlisted in the Army Troop Carrier Group, in which he served for 3 1/2 years. He was stationed in Alliance, Nebraska at the time of his marriage. He was then sent to Hawaii, and was on his way to join the Air Corp in the South Pacific when the war ended. After the war, he returned to the family farm, where he farmed until he was almost 75, then he retired and continued to live on the farm until 3 years before his death. He was a member of the Elkhart Church of the Nazarene, Elkhart, KS, which was a very important part of his life. Medical Information: Mostly health was good however Maurice suffered from arthritis and mild emphesima, probably due to all the years farming in the dust, in his later yars.